Knowing this first, that there shall come in the last days scoffers, walking after their own lusts, and saying, “Where is the promise of his coming? For since the fathers fell asleep, all things continue as they were from the beginning of the creation.” For this they willingly are ignorant of, that by the word of God the heavens were of old, and the earth standing out of the water and in the water: Whereby the world that then was, being overflowed with water, perished. Wherever we are on the road of our life, we did not just appear where we find ourselves without taking a series of other highways to get us here. First we take one road. Then we take another. We make choices. Sometimes we are puzzled and ask ourselves, “How did I wind up here?” But memories serve as breadcrumbs lying in the paths taken, marking the trail we chose along the way. Another way to express this observation: Our lives are like steps on a vast stairway. Each day comprises one step. Where we are now results from the many steps taken to arrive at our destination. How we explain ‘who we are’ begins with where we started out. Who I am today results of a collection of people I have known, events I have experienced, lessons I have learned, and decisions I have made. It is a combination of what is happened to me and how I have reacted to those myriad events each and every day. Surely whoever we are at this moment results from many such matters. Like stones placed on the exterior wall of a giant house, each stone is placed precisely one at a time. Unlike bricks, each stone is unique and has to fit exactly with all the others in a very specific way. Fitting the stones together takes creativity. To build a good looking house takes a master mason to perform the stonework, someone who knows exactly what he or she is doing. For those who believe in the providence of God, without denying our personal responsibility, we believe somehow God constitutes that expert mason, placing the stones we call ‘life events’ in exactly the right spot, considering carefully the shape of every stone, so that once the house stands complete, it looks smart; it evinces a grand design. Undoubtedly, we want our lives to appear like that when the ‘mason’ puts the last stone of our life in its place. When I spoke at my mother’s funeral a few years ago, I quoted a particular saying that she loved. It was a simple verse. I once employed my gift of calligraphy to ‘engross’ it upon parchment. The verse was, “What I am is God’s gift to me; what I become is my gift to God.” Being artistic and eager to make a few dollars for my work, I became quite adept at practicing the art of the medieval monks. When I was a teenager, folks knew me as an artist. At the funeral, I talked about the influence of my mom, how she contributed to the person I then was. Despite my mom’s idiosyncrasies (some of them not so charming), she loved her kids and cared for us as only a loving mother could (indeed, sometimes maybe too much!) At the service my main point was that how we influence others comprises a ‘gift that keeps on giving.’ A life well-lived lives on, continuing its influence in the world through the lives of those so enriched by the life now past—others who continue the journey. It may seem a rather obvious tribute to the person eulogized. And yet, it remains an awesome thought: We affect the world long after we are no longer walking on this earth. The footprints we make are not easily washed away. May those footprints we have left, the impressions we made while on this earth and the minds of those who knew us, become footsteps others seek to follow for guidance and stability. As I have reflected on that service afterwards, and what I related to the audience, I realized I had never felt prouder of anything I have ever said in a public forum. I still feel that way today. Perhaps someone will find something inspirational to say about me that profoundly affects attendees in a transformational way at my funeral. I can only hope! Decoding prophecy involves a paradox: to learn about our future we must study our past. Whether we search ancient sources of wisdom or study megalithic monuments holding hidden meanings, both archeology and written history hold the key to eschatology. In our personal lives, the same dynamic holds true. 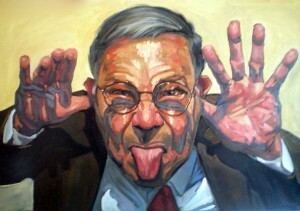 We can fathom our future only after we meditate on the meaning of previous life lessons. We learn more about what our future holds, as our understanding of our past grows. As we have discussed, for many reasons Christians believe that prophetic studies are vital. Part of this intensity stems from the knowledge that the world in which we live will soon be rehabilitated. This transformation will be massive and life-changing. This appears to be especially so for those who anticipate the new world. However, in this article I may astonish many readers because, on the surface, my method relies upon the past to tell us how the world will be transformed in the future. I venture some readers will be astounded by what I share regarding how our world was destroyed and then recreated in the aeon past, preparing for this epoch of humankind. The reason the topic proves so relevant relates to the verse from 2 Peter quoted as the epigraph for this chapter. 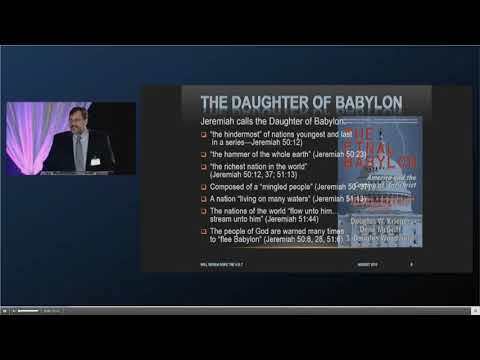 The connection: to properly appreciate what will happen on the earth after Christ returns, we must comprehend what really happened to our world before Adam was created ‘from the dust of the earth’ by Elohim, the Creator. Many scholars consider the New Testament book of 2 Peter the most controversial book in the Bible. Bible critics doubt its authenticity. Aspects of the book seem to draw upon sources that are unique to its message. That is, a few of its passages appear to have no canonical precedent elsewhere. My personal position: it contains some of the most intriguing and ‘hidden’ insights into the nature of the world, the cosmos, and what will happen in the millennium ahead. To gain such insights, the author must have experienced direct and special revelation from God. Following Christian convention, such revelation was uniquely given to Christ’s Apostles. Besides, since the book possesses a claim to be written by Peter and its author testifies it is his second epistle, I readily side with tradition and ascribe it to Peter. At the base of what many assume to be my gullibility comprises a principle I hold to be trustworthy: It remains difficult to give credence to a work written under a ‘pen name’ (i.e., a pseudonym). Ultimate matters are made more sure when the author does not mislead his audience about who is responsible for the ideas contained within. The passage cited above from 2 Peter makes little sense until we understand that Peter disputes the notion that the world today remains the same as the world has always been. Peter implies that what we see—the form of the world as we observe it—is not because of the current and ‘standard’ processes we normally perceive all about us. Dramatic, indeed radical events outside of the norm fashioned the world in which we now live. Peter provides a startling analogy. Once we understand his intended meaning, it becomes a powerful argument for rethinking why our world ‘takes the shape that it does.’ In short, it dramatically alters what many typically believe the first chapter of Genesis teaches. 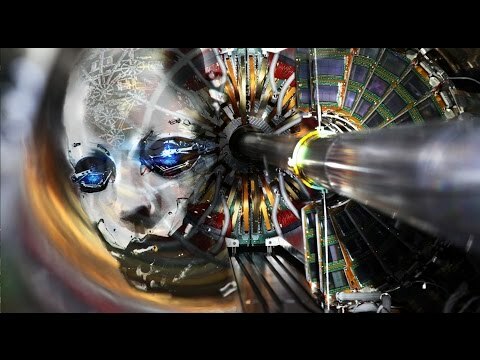 Additionally, it opens the door to a completely different cosmology—including a proof that future changes are all the more likely than what we would have guessed if we did not have this spectacular insight. While it remains quite common to doubt our world is subject to radical change in the future, Peter wants us to realize this ‘time-bound’ outlook is wrong. We may assume that ‘nothing new ever happens around here’—but in actuality, something categorically different did happen at select times in the past. In short: the truth regarding the nature of our earth, our solar system, and our universe constitutes a far different world than what we suppose. 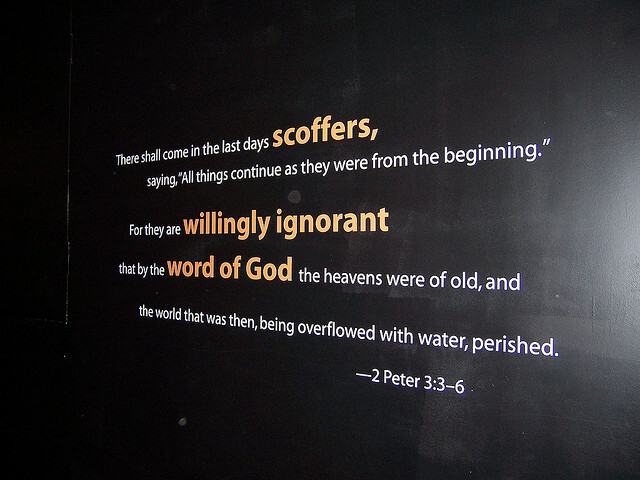 Peter’s argument, reduced to its most basic form, seems rather simple: “Because the world has been dramatically transformed once before, it can and will be radically altered again in the future.” Peter indicates that scoffers base their doubt regarding Christ’s return because of their common everyday observations. They are strict empiricists—they believe we acquire all knowledge through sense perception only. The guiding rule could be stated with the following sentiment: “If I have never seen it happen before, it certainly will not happen that way today.” This dubious but standard day-to-day perspective lies behind the denial regarding the Bible’s teaching concerning the world to come. That is, repudiating Christ’s Second Coming begins with the wrongheaded opinion that the principles we see in operation today are exactly the same as they have been for millions of years gone by—and the way they will be for millions of years to come. In geology, we call this the principle of ‘uniformity.’ This principle assumes the processes we witness today (slow and incremental), are the same processes that go back to ‘time immemorial.’ Peter argues how holding this view begets a fabricated understanding of the way the world came to be. 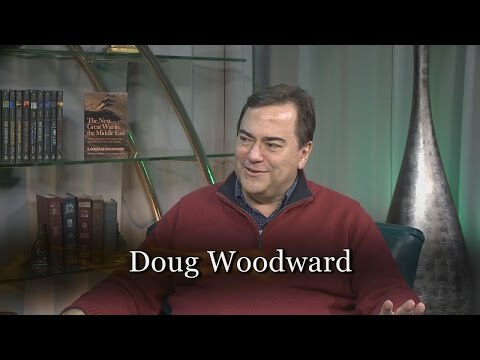 He teaches the world in which we live has gone through at least one dramatic re-creation and will go through another re-creation after Christ returns. This geologic principle we know as ‘catastrophism.’ It stands in stark contrast to the empirical heuristic. While often mocked throughout the twentieth century as a result of science’s embrace of Darwinism (from the standpoint as a theory of origins), by referencing recent scientific discoveries we now know there have been many enormous global cataclysms. From caldera eruptions to comet collisions, our world has experienced far more catastrophes than we once thought. Disasters have shaped our world and will continue to shape it in the future. Succinctly put: what we witness as first-hand observers today does not tell us how we got to where we are now or where we are going next. That comprises the essence of Peter’s perspective. So what does Peter actually mean regarding the nature of how the present world came about? The stunning truth many classic Bible scholars teach us is that the Bible does not begin with ‘today’s creation’—the world as we know it—that is as it originated in Genesis 1:1. True, in the beginning God made the heavens and the earth. However, the next verse assumes something happened after verse one and before verse two. Thus, the creation of the world as-we-know-it today begins in Genesis 1:2. The Bible through Moses (with God as the real author), wants us to recognize that God created the heavens and the earth (Genesis 1:1). But between Genesis 1:1 and Genesis 1:2 there was a gap of time in which violent things happened. Once we respect the entirety of Scripture’s teaching, we discover this startling fact. The earth existed before the six days that began in Genesis 1:3. Its form and its inhabitants are not fully understood, but the fossil record and artifacts that date hundreds of thousands or millions of years tell us the earth is ancient. God is perfect and everything He does is perfect, so a newly created earth from the hand of God should not have been ‘without form and void’—and shrouded in darkness. (See Deuteronomy 32:4, Isaiah 45:181 John 1:5) To be precise, it was not created first as chaos and then subsequently put into its present order. Now that language conveys a meaning quite different from the standard perspective. Apparently, something happened which caused the world to be corrupted and turned into a chaotic mess. We do not know exactly what ensued. Most scholars who subscribe to this interpretation of Genesis believe that it was the rebellion of Lucifer which caused the world to become a wasteland. There are many unanswered questions arising from this explanation of Genesis 1:2. This viewpoint, however, also offers some satisfying solutions to challenges often posed to Bible believers. HOMO SAPIENS PRIOR TO ADAM AND EVE? G.H. Pember in his classic work, Earth’s Earliest Ages, digs deep into the Bible’s language to draw out these amazing truths buried in the original wording of the Scripture. Pember argues, I think correctly, that the fossil record and many artifacts of intelligent life dating perhaps ten thousand or more years in the past are not necessarily from the current ‘epoch’ of humankind. They date from before the time of Adam’s creation and the ‘six days’ of Genesis chapter 1. We learn that there is also a Hebrew tradition from the Targum (an Aramaic version of the Bible and related ‘commentaries’ written during the Second Temple period (beginning roughly 400 BC and lasting until the Middle Ages), that a ‘pre-Adamite’ race of humanoids existed. And their view was not alone among the ancients. Other distant cultures possessed myths supporting the same interpretation. For instance, artifacts such as the ruins of Baalbek in Lebanon or Puma Punku in Bolivia, which may date from 10,000 to 15,000 BC, have been adduced by ancient astronaut theorists to prove ‘extraterrestrials’ have been here and were misunderstood by early humanoids to be deities. Pember would agree such relics and monuments attest to the presence of another form of intelligent life pre-dating the re-creation of the world and Adam’s origination. One possible interpretation of the data suggests another form of Homo sapiens existed with many of the same intelligent properties that ‘Homo sapiens sapiens’ possess but without the ‘imago dei’ (God’s image) placed within Adam. Such predecessors to Adam would be reflected in the fossil record we attempt to decipher today. Likewise, cave art that dates from perhaps as far distant as 35,000 BC forward, as well as other ‘Stone Age’ artifacts indicate a ‘naked ape’ with expansive capabilities but not the full equivalent of today’s human being. This seems implicit in the twentieth century scholar Finis Dake’s work entitled Another Place, Another Time, Another Man (emphasis added to his title). Indeed, one of the great puzzles of anthropology remains, “Why have we witnessed civilization only in the past 6,000 years when scientists assume that the intrinsic capabilities of humankind (brain capacity primarily) have not changed appreciably in the past 200,000 years?” Civilization came into being with a sudden explosion precisely at the time the Bible indicates the Lord God created Adam and his progeny, roughly six millennia ago. The ‘Gap Theory’ as described here may present a plausible explanation (this is speculation on my part). When God created Adam, an additional capacity was added. This extra facility was what we call ‘the Spirit’ or Neshamah. This quality caused humankind to behave differently, eventually giving rise to civilization. It also made God directly knowable to human beings. The Bible does not tell us this—it is speculation, but educated speculation building upon numerous biblical facts. Therefore, it appears possible that a different form of life lived on the earth contemporary to ‘pre-Adamite’ humanoids. We do not know if these other life forms were angelic or some form of hybrid race; but what we do know is that God began with the current ‘human family’ in Genesis 1:2 and the verses that follow, moving forward from there. Part 2 of this article will be posted in the next day or two. 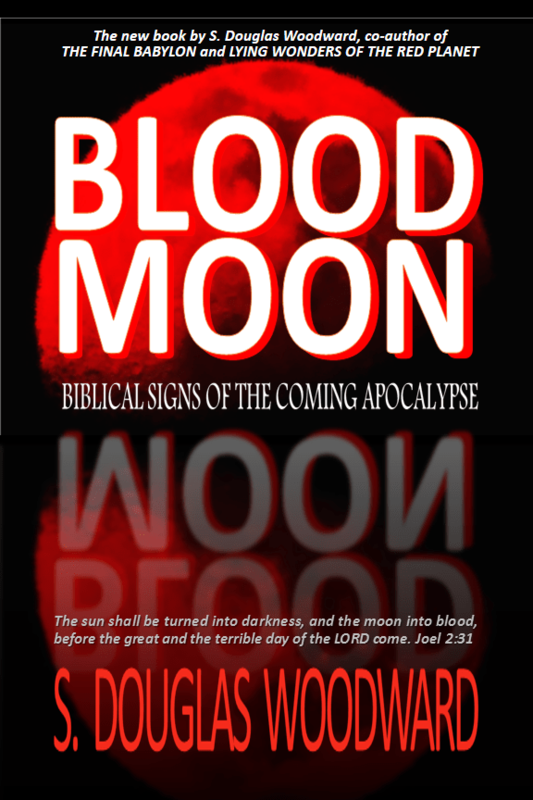 This article was drawn from BLOOD MOON: BIBLICAL SIGNS OF THE COMING APOCALYPSE. Click here for information on the book or to purchase it @ Amazon. This week BLOOD MOON is on sale for $14.95 (regularly $21.95 retail price). It is also available on Kindle for $9.95 (it should also now be available as iBook and Nook versions). Of course, higher criticism suggests all the books of the Bible, except about half of Paul’s letters, were not written by the authors as claimed by tradition. In liberal theology, it is fashionable to allow fraudulent claims, just because some ancient writers did this in order to impress and influence their audiences to ‘heed what the authors wrote.’ Since the liberal perspective believes spiritual truth constitutes ‘views’ and not ‘news,’ for liberal theologians it does not really matter who spoke them. In philosophy, this perspective is called positivism. As the world progresses toward spiritualism (an occult view), positivism is becoming passé. This is discussed in the classic, The Morning of the Magicians by Pauwels and Bergier. Most of these discoveries have occurred in the past two decades. I have studied several books, pro and con, on this theory before committing to my position. Perhaps the best treatment is by Arthur C. Custance, Without Form and Void. It is, however, a highly technical study in Hebrew grammar pertaining to the Genesis account. A much simpler study was written by Finis Dake: Another Time, Another Place, Another Man. Dake’s book was written almost 50 years ago but is still relevant and useful. A much more recent study takes up the subject in light of what may be discovered in the way of artifacts beyond the earth (demonstrating that intelligent life has existed elsewhere, and the age of the solar system proves to be quite ancient). See Allan Cornford, Genesis and the Rahab Conspiracy for a well-written and carefully crafted ‘Bible study’ should such disclosure of ‘alien’ artifacts on other spheres in our solar system come to light. 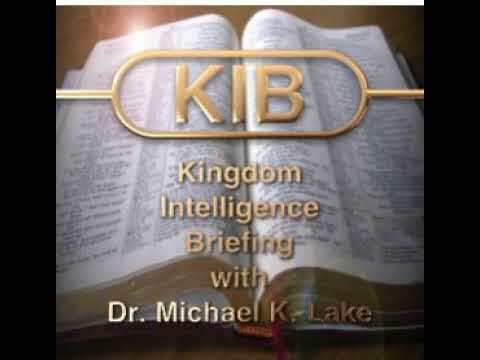 The working theory among many who write today on these subjects suppose that an angelic incursion in which ‘the Sons of God’ came into the daughters of men, and created a hybrid race, drawing upon he premise of Genesis 6:4. This Pre-Adamic race would be understood to be like the Nephilim which came about after Adam was created but before the Flood of Noah. I do not support the view that a Pre-Adamite race constituted ‘ETs’. See my most recent book Lying Wonders of the Red Planet, for a detailed discussion of the theory that intelligent beings once existed on Mars (and possibly on the Moon!) In that book I recap the groundbreaking work of the late David Flynn whose research provides a strong argument that the Bible supports a now defunct angelic civilization in our solar system (and probably upon the earth) prior to Adam.